NEW YORK (March 21, 2017) –FlightSafety International announces the start of the only factory-authorized Gulfstream G650™ training program located close to operators in Europe, the Middle East, and surrounding regions. 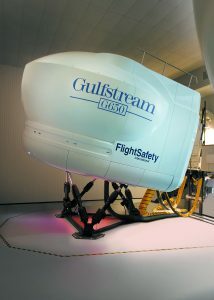 The training is provided using the fifth Gulfstream G650 simulator built by FlightSafety. It is installed at the company’s Learning Center located at the Farnborough airport in the United Kingdom and is now qualified to Level D by the FAA and EASA. 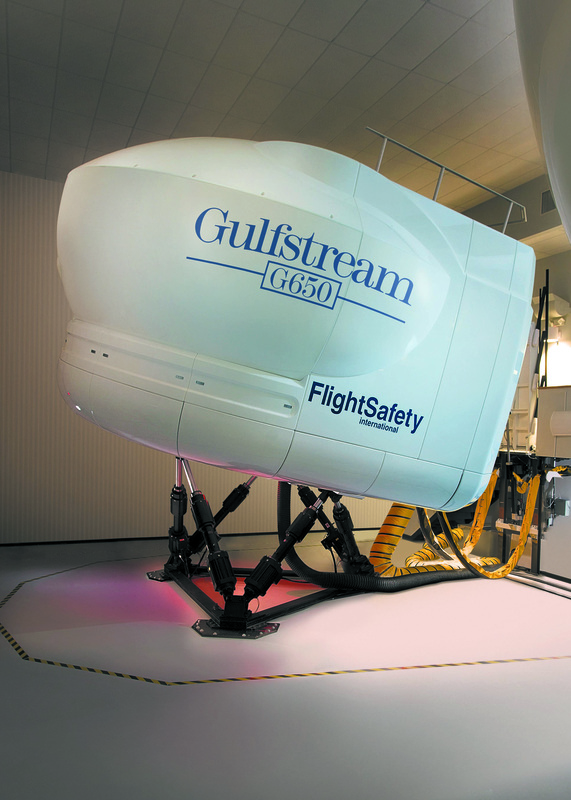 The FlightSafety FS1000 simulator built for the Gulfstream G650 is designed to enhance training and maximize the effectiveness and efficiency of FlightSafety’s latest innovations in technology. They include the VITAL 1100 visual system, electric motion cueing, and new Instructor Operating Station. The FS1000 features tightly integrated computer hardware and software across subsystems which allow for more accurate and higher fidelity simulation than found in other current and previous generation simulators. FlightSafety has been the official factory authorized training organization for Gulfstream Aerospace Corporation for more than four decades. Pilot, maintenance technician, and flight attendant training is offered for the complete line of Gulfstream aircraft using a fleet of 33 full flight simulators as well as other advanced training devices and equipment. The training is available at FlightSafety Learning Centers in Dallas, Texas; Hong Kong; Long Beach, California; Savannah, Georgia; Wilmington, Delaware; and at the London Farnborough Airport in the United Kingdom.